Please fill in the short form below with your question, either about the Sonic Hub Marine Entertainment, or for some technical advice. Please include details of your vessel if you feel they will help us answer your query. Featuring a high performance, four channel amplifier with 50W per channel, SonicHub delivers a sensational sound and audio content control experience. 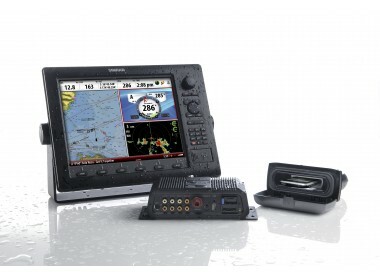 Easy to install, a SonicHub system integrates seamlessly via NMEA 2000 with high resolution, colour displays featuring an intuitive and stylish graphical control interface. 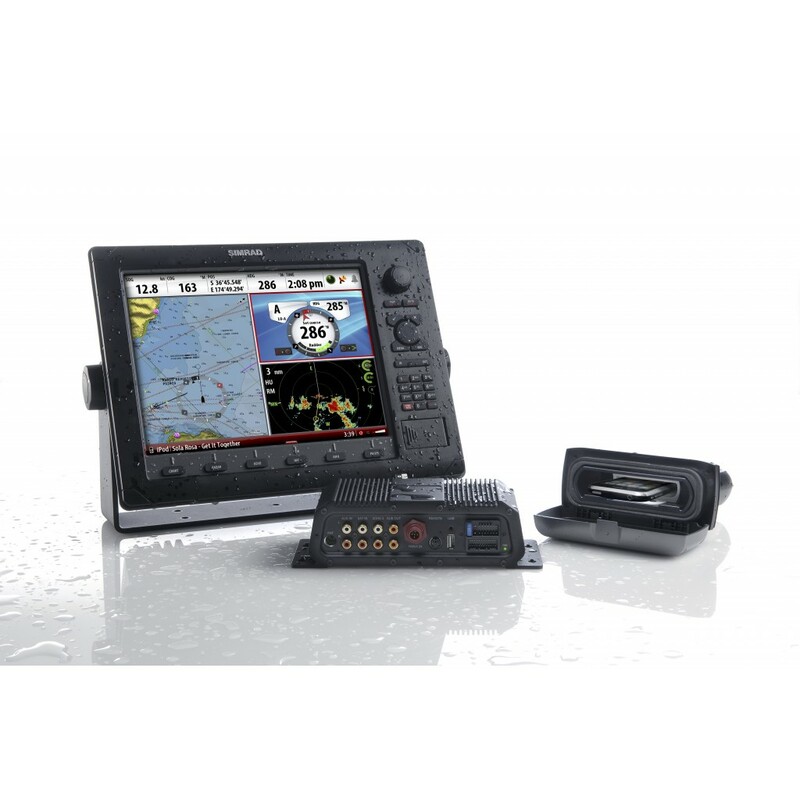 Enjoy the pleasure of high quality sound with an innovative solution specifically designed for the challenging marine environment. 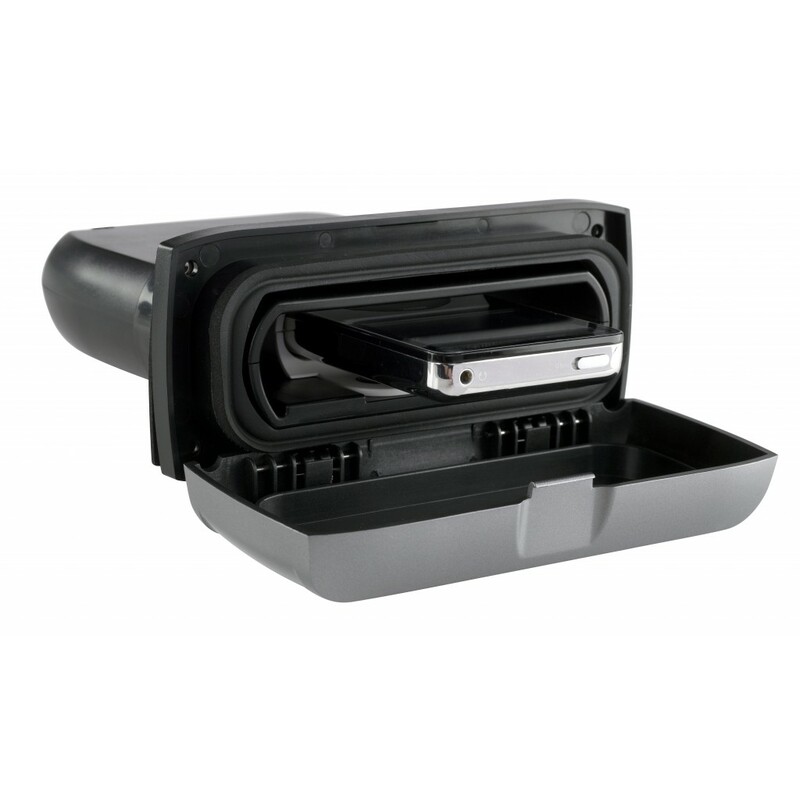 The unique docking station provides a safe and waterproof casing, providing protection from the elements. 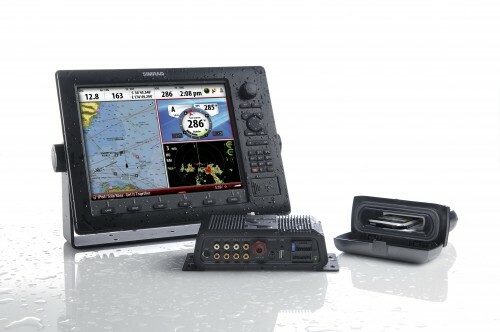 The intuitive interface on the Lowrance HDS and Simrad Navigation displays combines a sunlight viewable colour screen with ease of control. The SonicHub is simple to install with no need to cut holes in the helm for an audio head unit, making it the perfect choice for vessels with limited space. Just hook up SonicHub to your Navigation Display, plug in the speakers and you are ready to go. The SonicHub system includes two stylish, waterproof marine grade 6.5in high power 200W low-magnetic speakers for the ultimate in music on the move. Additional two speaker sets are available as an accessory. 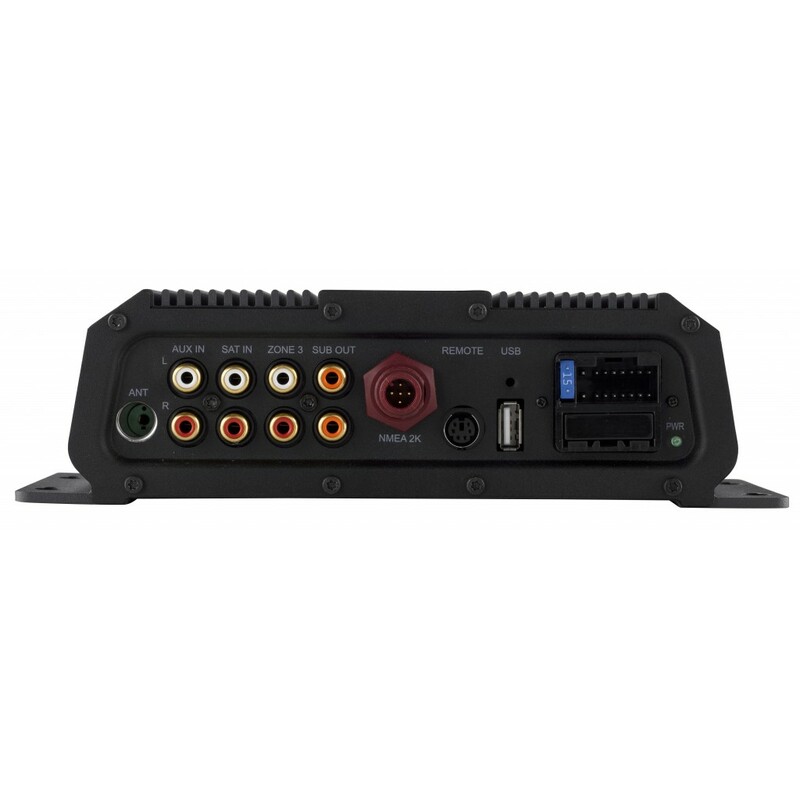 SonicHub can also connect and output to a third party subwoofer.